Black and white charcoal street scene of New Mills, Derbyshire. 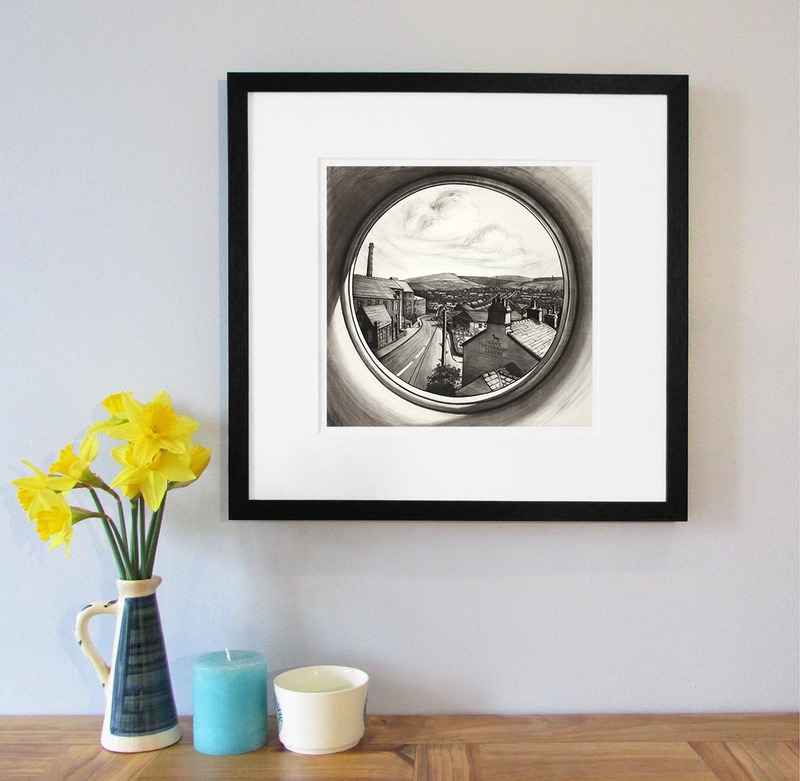 Looking through a circular window down Albion Road, past Swizzels Matlow sweet factory on the right, and up to the mountain Kinder Scout in the distance. This drawing was a commission.